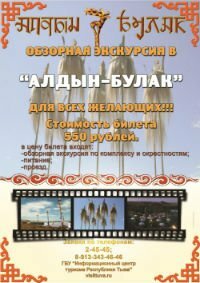 The folk group Olchei will participate in the presentation of a new video project produced by Greenpeace Russia entitled "The Nature Heritage of Russia"
Greenpeace Russia aims to preserve the unique art of Tuvan throat singing. One could compare the preservation or native culture, customs, and people to a mass of uncharted wildlife-- partly forgotten national traditions have been recently considered to be an integral part of the World Nature Heritage. Authoritative international organizations have seriously started to investigate, preserve, and disseminate information about intangible cultural heritage. Special interest has been paid to Tuvan throatsinging as its origin, traditions, mystery, and power are inseperable from the nature of Tuvan and Central Asian nomadic way of life.